I love working with Double Strand for Crochet Projects. They just work up quickly and add bulk and texture to any project. Double strand crochet is the same as regular crochet, it is just that you will be using two strands of yarn at a time instead of one. Play around with the color combination and you can make pretty coasters for any occasion!!! You just need to take care of one thing, that is be sure you have equal tension on both strands and are pulling both strands through each loop. 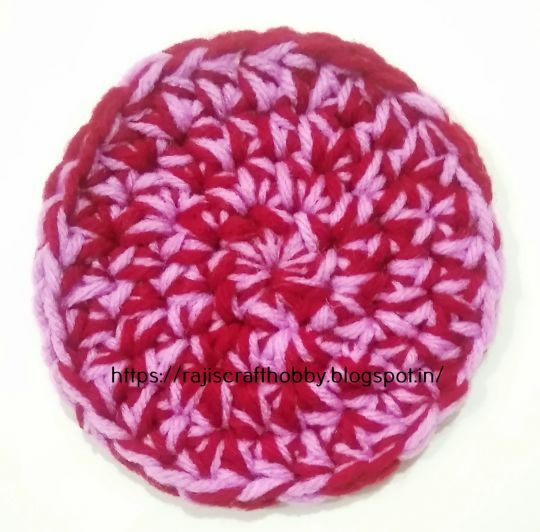 Here am sharing the next pattern of my Crochet Coaster Series.